This picture is from an article called “The Rescuing Hug”. 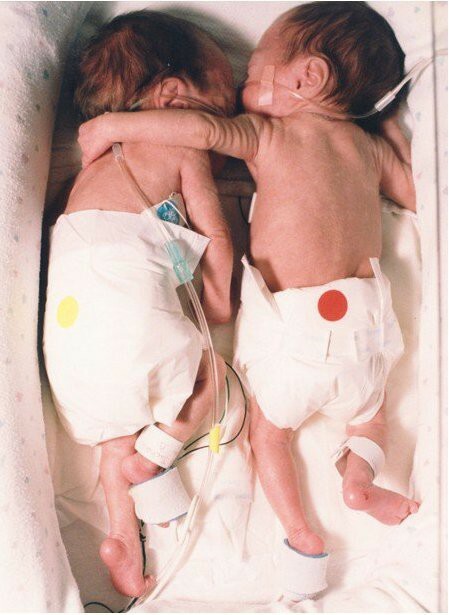 The article details the first week of life of a set of twins. Each were in their respective incubators and one was not expected to live. threw an arm over her sister in an endearing embrace. The smaller baby’s heart stabilized and temperature rose to normal. Life is so beautiful ~ Creation by Allah! !